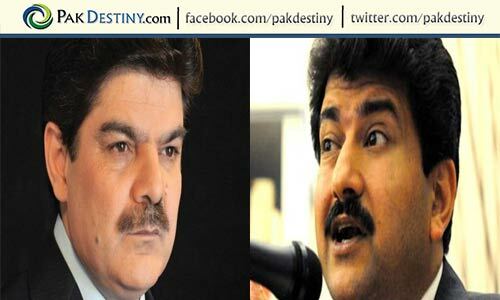 Islamabad July 21 (http://www.pakdestiny.com) Is Hamid Mir and Absar Alam’s petition in the Supreme Court seeking constitution of a National Media Commission to probe into ill-gotten money of known journalists and media houses owners an attempt to fool the people that they are ‘innocent’ and the rest are corrupt or they did so on the request of someone in the judiciary. Only time will tell. 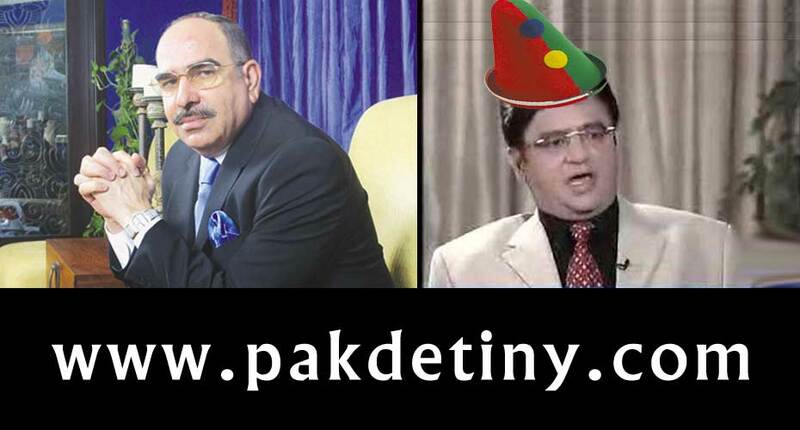 Interestingly, the petition is focused on property tycoon Malik Riaz’s dolling out money to anchors and journalists. And also a reference is given about his planted interview with Mubashir Lucman and Mehr Bokhari. There are few questions one raises while going through the petition. First, why not both top anchors talked about probe into the money the main political parties like PPP and PMLN had been giving to certain anchors and journalists for a long time. Second, will Mr Mir tell till his shaking hand with President Zardari he had been carrying out the agenda of his owner Mir Shakilur Rehman. So what about those who help achieve the vested interest of their media house owners. Third, as why the judges of Supreme Court need to tell the people that top anchors and journalists are running into millions as the people are already well aware of their ill-gotten money. By the way, farm houses or villas in posh localities owned by either Aftab Iqbal, Mubashir Lucman or Hamid Mir can not be purchased by ‘savings from mere salaries’. So please stop fooling the people any more, a humble suggestion. According to Javed Mahmood, editor of a magazine, a majority of the media owners and several senior journalists/anchors will go behind the bars in case a fair process of accountability in the country is initiated. “Yes, media accountability is also important when a journalist or any one linked to media uses his position to make money by falsifing the truth, thus hurting the whole society, or mislead the public to gain importance, is not fair, and these people should be accountable and should be put before the court for defamation or misusing the position to gain profit. “We have to understand that if we want our society to stay in line, then we must follow the rule of law. We must bring these people before the court of law, sue them ,and force them to obey the regulation,” said Raja Habib Jalib, Secretary General Kashmir Press Service. We always talk about the loan taken by influence from the Banks by political leaders & big lanlords & then these loans were given away as a gift by Goverment as gift to support these pweople. It is claer stealing of puiblic funds . We have seen also money deliverd by generals & agencies to political leaders ,which is clear violation & misappropriation of public funds, we have seen General Mussharraf giving away his secrets ,while he was a on duty as chief of staff, but nothing was done to him ,although he committed treason by giving away his secrets for getting million of dollers for that book in advance. We in Pakistan onley talk ,our judiciary talks, Journalist talk, political leaders talk ,but no action. We have not put a single man on trail for stealing public funds using Banks. We have list of those people who got their release from Bank loan by using influence from Government. Well, keep on talking ,when there is no action then whole Nation pays the price. Today, Pakistan is a faild State, its institutions are uneffective, Police ,Judicary, Parliament,every institution is just for show. The country is ruled by thugs, Batta khoor, and criminal Organizations ,who are paying the political leaders percetage of their loot, look around, the biggest money making city Kasrachi has become criminal Heaven of Pakistan. 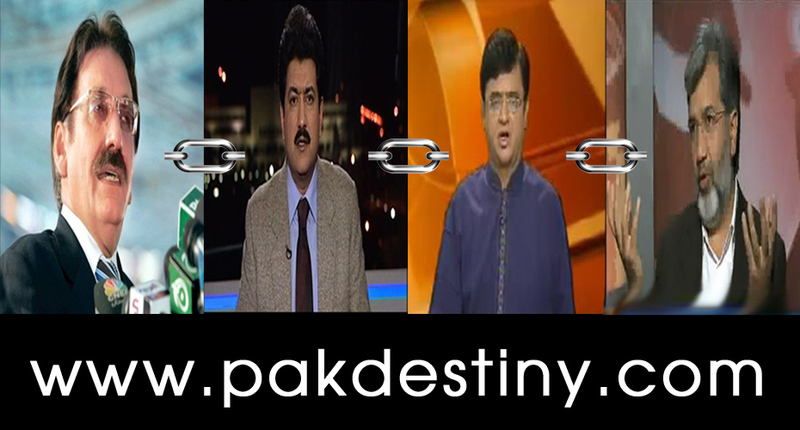 The industrialist are runnig away from Pakistan. The unemployment rate is reaching up to 35% ,and energy crises are looming. The rule of law is the onley way to bring peace in Society. When Powerful people are allowed to do what ever they want ,and law is kept for poor ,then the society becomes lawless. We all must take a stand ,bring crooks to justice ,and claen up our political ,Military,and Judicial institution. We must reorganize our police system ,and bring qulified people in police , and make our police force law abiding too. May be ,one day we will be able take out our Pakistan from this mess & make this great Country,the dream country of Allama Muhammad Iqbal & our Quaid-i-Azam Muhammad Ali Jinnah.